The leaves are just beginning to turn, but they aren’t in the lake yet. 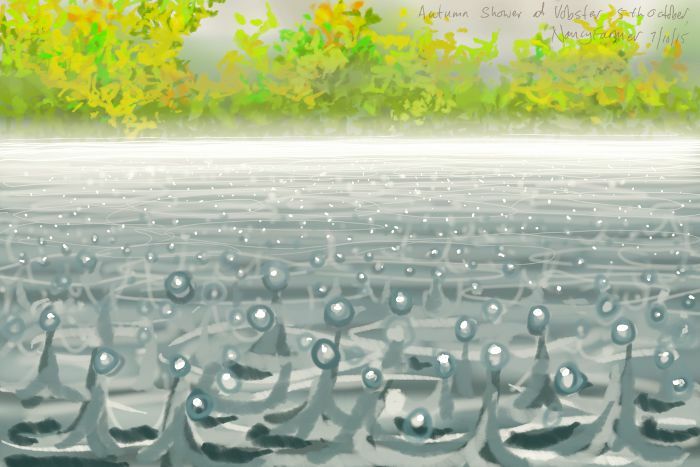 What was in the lake was suddenly an impressive amount of rain, the mist that seemed to lie on the surface of the lake was not actual mist, but the view across the surface of the water through a million splashing raindrops – my eyes being mere inches above the water. This was Vobster on Tuesday; it’s still warmish – above 15 – but it’s cooling down now. Winter is coming! 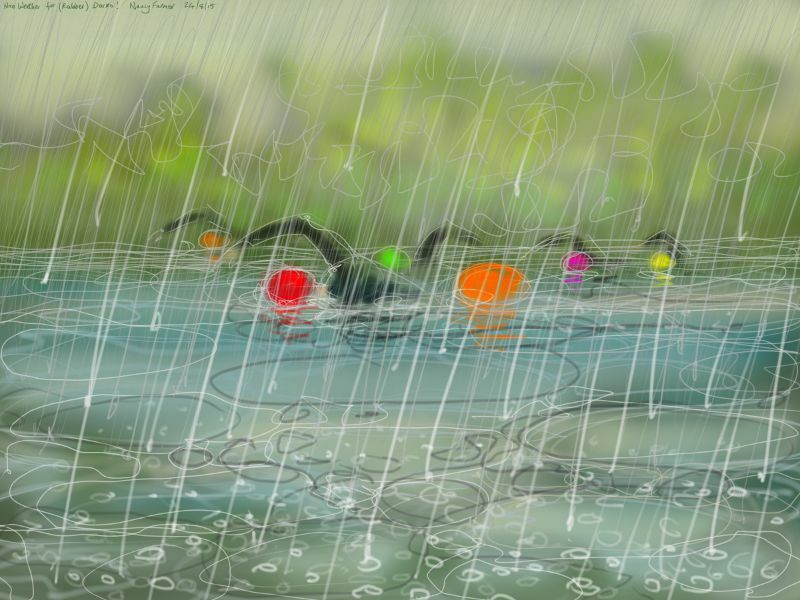 I have just listed a lot of swimming drawings as greetings cards in my Etsy shop, click here to view them. 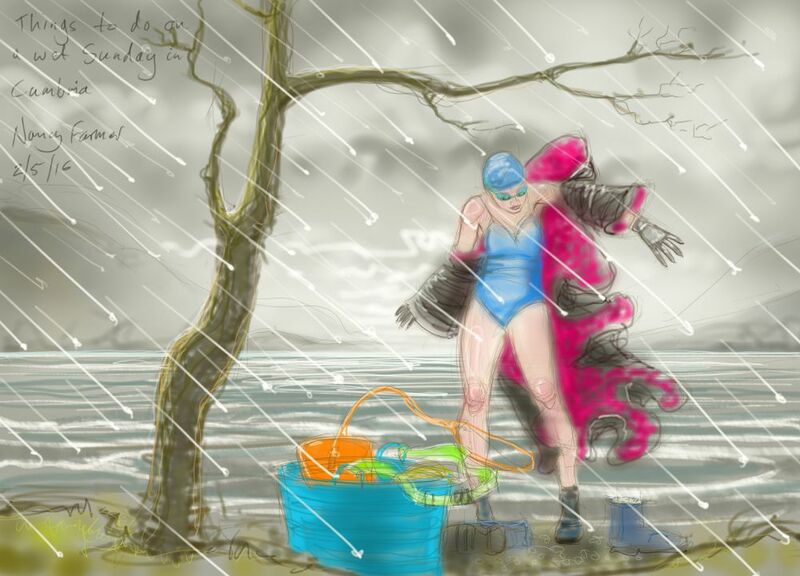 This entry was posted in swimming and tagged art, autumn, drawing, illustration, open water swimming, rain, swimming, Vobster Quay on October 8, 2015 by Nancy Farmer.